Our Coffee Bars are proud to serve the highest quality coffees and espressos, roasted locally in partnership with our friends at Equator Coffees and Teas. Equator is a boutique coffee roaster that works with farmers in Central and South America to prioritize environmentally friendly roasting practices and ensure a better standard of living for their farmers. Their Fair Trade Certified coffees and organic espresso are roasted locally in San Rafael. We offer a wide variety of specialty espresso beverages in our Coffee Bars, as well as other specialty items, like kombucha on tap (at select locations). Did you know that the seasonal juices and smoothies we offer in our Juice Bars are made using the same local produce we sell in our produce department? 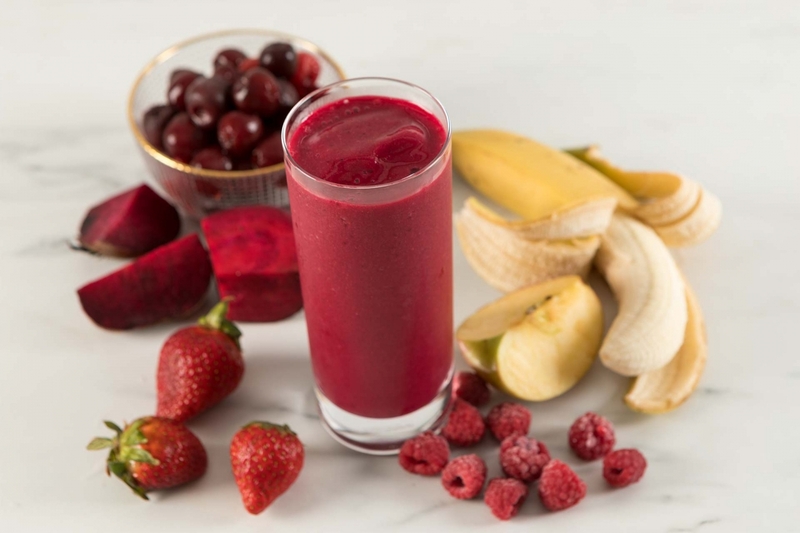 We’ll use these high-quality ingredients to create any juice combo you like, and we never add any fillers or artificial substitutes—our juices are made from 100 percent whole fruits and veggies! Need a sweet dose of energy to get you through the day? Try a delicious and nutritious Açaí Bowl! These antioxidant-rich bowls feature organic açaí blended with banana and other fruits, topped with naturally sweet ingredients like granola, honey and dark chocolate. Drop by our coffee and juice bar for delicious varieties like our Nut Butter, Classic, Berry, Tropical and Green Açaí Bowls. *Available at our Sacramento Valley locations. Channel your inner dragon with a powerful Pitaya Bowl fresh from our coffee bar! Also known as dragon fruit, pitaya is a brilliant pink fruit that packs a nutritional punch. Gluten-free, dairy-free and totally tasty, our Pitaya Bowls are made with raw, organic dragon fruit blended with coconut milk and fruit, then topped with granola, fresh fruit and honey. Visit our coffee bar to try our delicious Nica, Dragon and Sunset Bowls! Take care of yourself this winter with our coffee and juice bar’s two newest power-packed smoothies. Whether you need a hearty recovery drink for your new workout plan or want to “C’s” the day to help stave off winter ills, we have just the drink for you. Check out these Health Notes by Dr. Liz to learn more about our latest drinks and their impressive roster of health-boosting ingredients.